Traffic Tickets | Jacksonville Traffic Violation Lawyers Law Offices of Ellis and Bryant, P.A. When you receive a traffic ticket or citation, you may believe that paying the citation is your only option or that it is the quickest and easiest way to deal with the head ache and hassle of a ticket. However, there are some very important consequences to just paying a citation. Paying the citation is the same as entering a guilty plea. If you pay the citation you are admitting guilt and will most likely be adjudicated guilty. 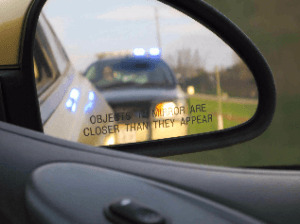 A plea of guilty can in some cases be used against you in a civil law suit so if there was a car accident in connection with the ticket it is especially important that you speak to an attorney before paying the ticket. Paying the ticket will likely result in points on your license and be permanently recorded on your motor vehicle driving record. If you pay the ticket you will likely be adjudicated guilty of the traffic violation or offense. When you are adjudicated guilty, points are assessed against your license. If you get too many points your driving privilege or license may be suspended or revoked. Just paying the citation may in some cases result in the loss of your ability to legally drive and the suspension of your license. Paying the ticket may cause your insurance rates or premiums to go up. If you receive points on your license and your motor vehicle record indicates a guilty plea to a traffic citation, your insurance carrier may raise your premiums or your rates and your monthly bill might go up. Over time even a small increase can have significant financial repercussions. You do not have to just pay the citation. You may have a defense or there may be a legal reason to dismiss or fight the citation. Even if there is not though you still have other options. The right attorney can appear at a hearing on your behalf and try to get you a withhold of adjudication. What that may mean for you, is that you may not have to plea guilty, you may not receive points on your license, your insurance may not go up and you may not open your self to civil suit in cases of traffic accidents. In other words, an attorney may be able to help you avoid most or all of the consequences to paying the citation listed above.